I believe everyone who was following Pro Tour Rivals of Ixalan in Bilbao would have been captivated by, or at least have enjoyed the absolute silliness that was Ken Yukuhiro's Hollow One deck. This got me thinking - Is there a way to make the deck even more entertaining? As it turns out, all it needed was a change of format - Legacy! 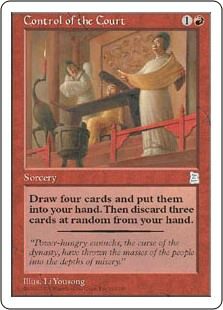 Now, what does Legacy give us that Modern didn't already? Goblin Lore was the key card which made the entire deck tick. With four additional copies of Control of the Court, we have out fifth to eighth copies of Goblin Lore. The Portal Three Kingdoms uncommon recently gained a lot of attention when Goblin Lore made it into the spotlight. This makes it way more effective to power out Hollow Ones on turn one and makes the entire deck way more consistent than the Modern counterpart! 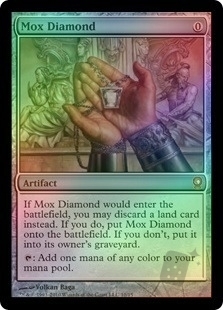 Mox Diamond is also a game changer. Not only is it an extra outlet, but it also produces mana instead of costing mana! It enables a first-turn Goblin Lore or Control of the Court, if you have no Burning Inquiry. Some cards you don't mind discarding into the graveyard, such as Flamewake Phoenix and Bloodghast. However, Anger is out choice here, since it enables all our creatures to gain haste! 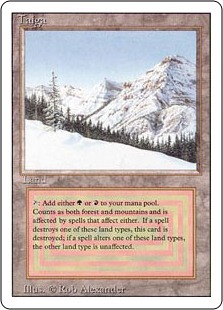 This shortens the clock significantly and gives us a little more edge in Legacy. As you can see, there are several ways to enable the dream hand. Some opening hands will even allow us to also cast a black Delve creature along with it! Coupled with Anger, that's a lot of ways to deal a lot of damage very quickly. 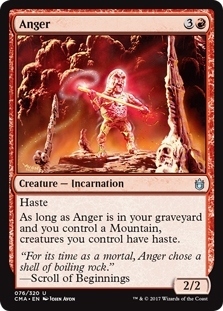 I do think some removal could be useful, most notably Collective Brutality, Fiery Temper or something of the ilk, to give us a little more game against faster combo decks. 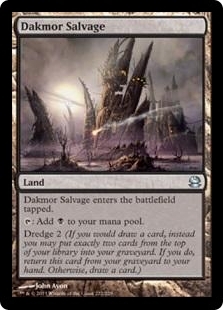 The Dakmor Salvage is there as a good "discard," especially when we need a land to pitch to Mox Diamond after going through our deck. The Dredge functionality also helps with casting Delve creatures and helps us mill Anger into our graveyard. Alternatively, we could also go in another direction! In this case, we're going for the Vengevine plan instead! 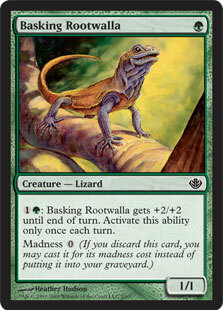 The "god hand" consists of a turn-one Burning Inquiry, discarding a Basking Rootwalla and two Vengevines. You then cast the Hollow One you conveniently failed to discard and boom! 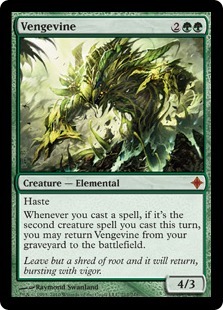 You've got a couple of Vengevines ready to attack turn one while you still have Basking Rootwalla and Hollow One incoming. Playing Green also grants us Hooting Mandrills over Gurmag Angler which has the advantage of being better at crashing past Young Pyromancer tokens. It also combos well with Become Immense which has been known to end games abruptly. 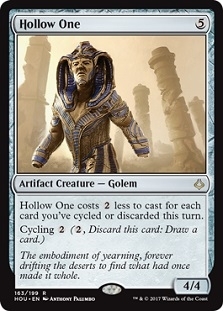 Whether Hollow One has the chops to survive to survive in a format as harsh as Legacy, only time will tell. Obviously, disruption does need to be included at some point, but for now, I wanted to get the shell right first. For the casual player looking to get in though, just stick some shocks instead of duals, and you should be good to go! 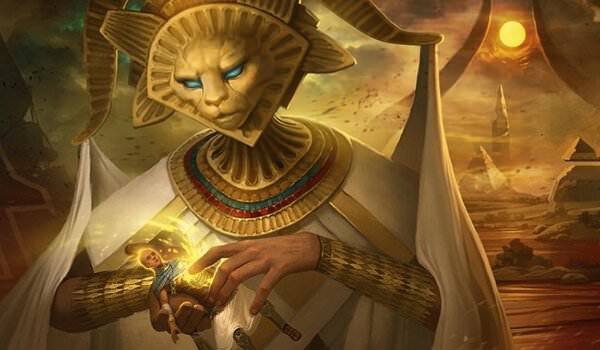 Thanks for reading and I hope you enjoy winning on turn one with Burning Inquiry and friends!